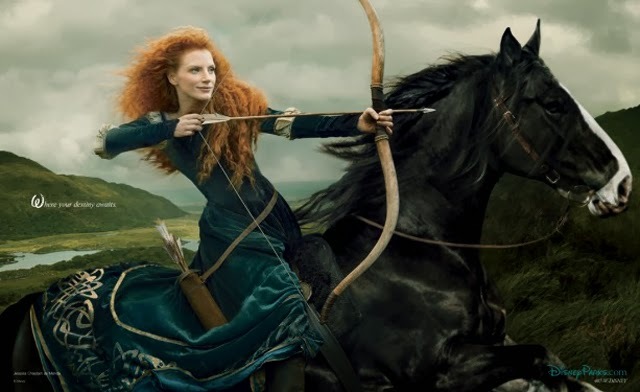 Jessica Chastain is the latest actress to be shot for the Disney Dream Portraits campaign. She is seen herewith in a first look for Entertainment Television. 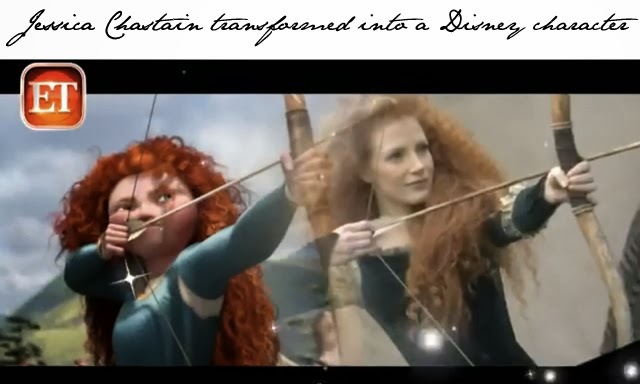 Filmed on set, Jessica Chastain is the spitting image of Princess Merida from Disney's Brave. Shot by Annie Leibovitz, this is truly a stunning image which will see its debut in Oprah Magazine February 2014. UPDATE: Here's the official portrait as just published on the Disney Parks Blog.